Indulge with your favorite La Lola Chocochurros in the comforts of your own home or office with its new easy-to-carry take out box. These mouthwatering churros are covered in your favorite chocolate flavors and chilled just right to preserve its flavor and freshness. These chilled churros are meant to be eaten chilled (really) or at room temp so you can really enjoy this anywhere. Favorite flavors are: dark chocolate, white chocolate, matcha, and butterscotch. The first La Lola opened at the Powerplant Mall in 2014 and since then, Filipinos has never been more enthusiastic in eating churros. The crispy, fried long strips of delicious pastry is made before your eyes and served with a rich chocolatey dip. La Lola's unique cone packaging makes it easy to enjoy and carry around. 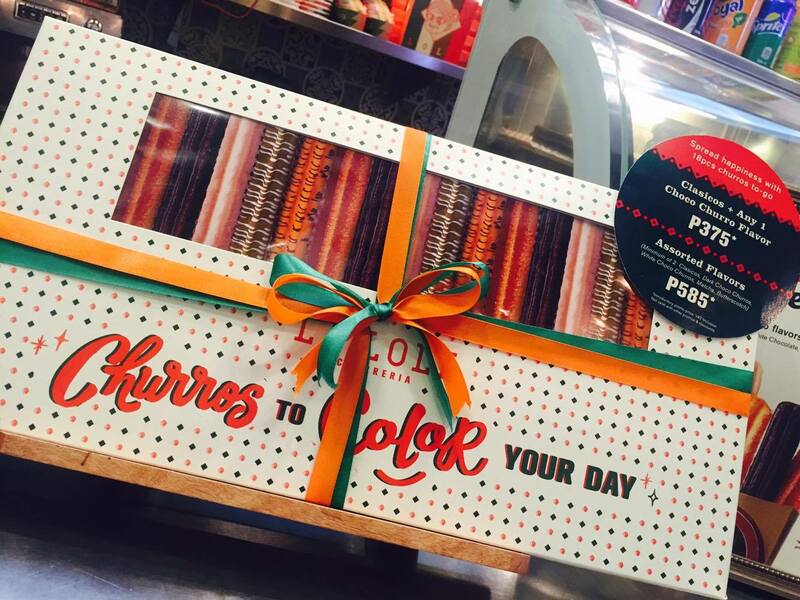 But the churro goodness didn't stop there because in 2015, the chilled chocolate covered Chocochurros was introduced. This was followed by the Premium XuXo, a savory stuffed churro with Jamon Iberico and Manchego Cheese. Then came the churro dog- Perrito Caliente, chistorra sausage on a bed of caramelized onion and xuxo. After that came Churro Ice Cream Sandwich- freshly fried churro buns with a choice of Vanilla, Dark Chocolate or Matcha ice cream. And in early 2016, the white chocolate with cinnamon dip was introduced. But wait, there's still the La Lola Churro Pops, a delightful spin on popcorn. 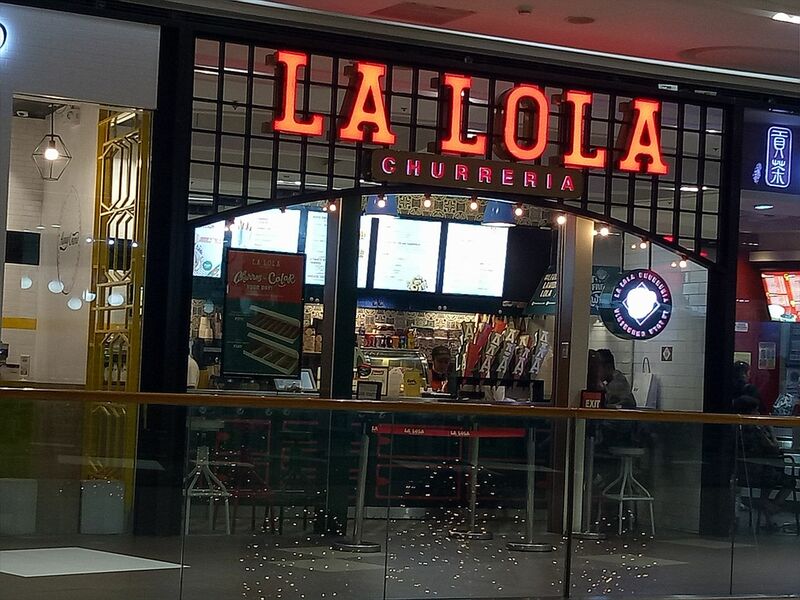 Aside from its Powerplant branch, La Lola Churreria is now available in SM Aura Premier, SM Megamall, Serendra, Eastwood Mall, UP Town Center, SM City North EDSA, Estancia Mall, Robinsons Manila, Uptown Mall, SM City Cebu, Robinsons Magnolia and SM City Pampanga. There's also the Churro Combi or the "churrofied" 60's Volkswagen Combi outlets parked in SM Mall of Asia and SM Southmall.